Early Spring shows off it's lacy florals. 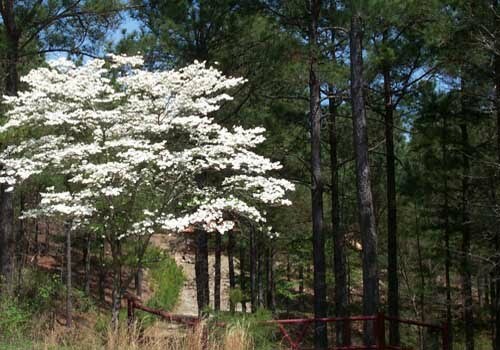 Displayed throughout the Broken Bow and Beavers Bend area, you will find radiant Dogwoods. As the foliage grows from each node, the white will dissipate. 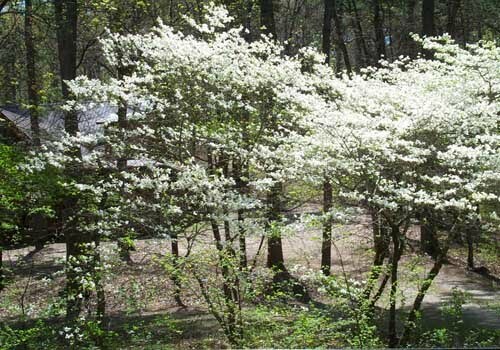 The best time to view the showy tree is late March through early April. With the temperatures in the 70's and less visitors, April is one of the most beautiful times to stay in a private cabin.